I believe it to be important for us all to respect the dignity of dog. Dogs know when they are being humiliated. There is a huge difference between correcting a dog gently and firmly and loudly scolding it very publicly. Just study the dog concerned when this happens! We so often lack consideration for the dog when we handle them. I can still recall feeling uncomfortable when observing a tiny Yorkie being painstakingly groomed for an hour - at our village dog show! Most dogs want to please their owners; this one stood still and just endured the bizarre endless combing and preening - even for such a casual, inconsequential, low-key event. But the demeanour of the dog told its own story, the obedient loyal little dog just didn't want to be there or to be subjected to this almost tortuous treatment. The owner had absolutely no respect for his dog, was just lost in his craft, his presentational desires. 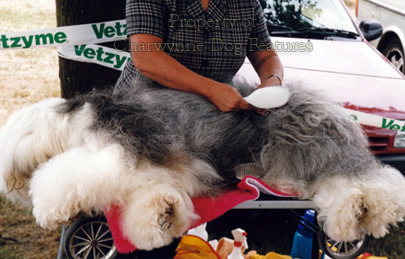 I have that same uneasy feeling when I see Bobtails and Beardies subjected to seemingly endless grooming at Crufts or Afghans in their protective pre-ring clothing or St Bernards and Newfoundlands wearing bibs. These dogs are not mere warm-blooded display items but sentient creatures with pride and feelings. This is another example of the total absence of empathy for another living creature and one that has given more to man than any other. Strangely, dogs crave our affection, but truly, not our exploitation. Two recent incidents involving dogs gave me food for thought. The first concerned a 'fancy-dress competition for dogs' at a local village show. The parade of dogs in themed costumes seemed to greatly amuse the human audience; the dogs however looked distinctly ill at ease. They were being mocked. The second concerned a Basset Hound at a dog show that stepped on its own ears, performed a clumsy somersault, drawing unkind and misguided applause. The hound's eyes dropped, possibly from self-consciousness; dogs don't like being mocked. A man is unlikely to stand on his own ears but would still resent being laughed at, when say, tripping over after standing on one of his own shoe laces; his dignity would have been hurt. When we bestow giant bellows as ears on a subject creature we disrespect it, we ignore its natural pride, its individual dignity. I have a neighbour who buys her dog expensive coats, in both summer and winter weight, and proudly parades the dog in them like a trophy. When I gently scold her, she tells me how much pleasure she gets from buying her pet these presents. 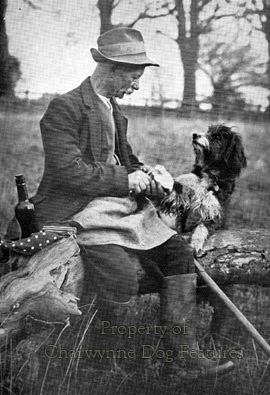 The dog was born with a perfectly good weatherproof coat of its own, comes from a working line of small terriers, and looks decidedly self-conscious when sniffed at, almost derisively, by the local gundogs. Her dog has no need whatsoever for these garments, but she has an irresistible desire to give it gifts. This may be harmless but to me it shows a lack of respect for the dog; she would never admit it, but its feelings matter less than hers. This desire to spoil a 'much-loved' pet leads to overfeeding, feeding between meals and the tolerating of unwanted behaviour, none of these things good for the dog. There was no simply no consideration for the feelings or sensitivities of this particular dog; the expensively-coated dog looked, I swear, self-conscious, its dignity not considered by an owner trying too hard to be generous and ending up just looking self-indulgent. It was always interesting to watch coursing Greyhounds in their coats; they seemed to know that, when they are hot on a freezing day, they benefit from such care as they cool down. Sled-dogs were developed for severe weather and don't seem to need similar protection. 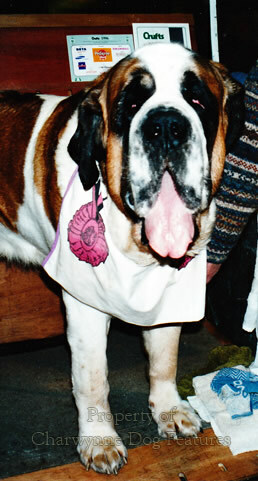 Inflicting needless garments on dogs is so often done because it suits the owner rather than the dog. The dog's feelings are not respected. When we regard dogs as pampered playthings or warm-blooded ornaments, we soon lose sight of their simple basic needs. Dogs need to be walked, they need to be fed, but not overfed, and they thrive on companionship. Give them time, not coats! 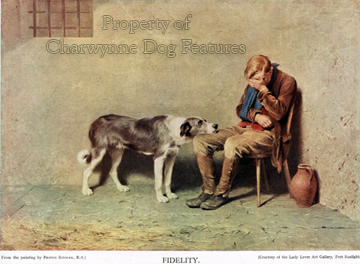 Talented, sensitive artists from Edwin Landseer and Joshua Reynolds to Briton Riviere and Richard Ansdell have captured the innate nobility and natural dignity of dogs, their empathy often attracting accusations of over-sentimentalising their subjects. The perceptive Russian playwright Anton Chekhov once wrote that: "everything in the world was really beautiful, everything but our own thoughts and actions when we lose sight of the higher aims of existence and our dignity as human beings." The higher aims of our existence should guide us towards keeping sight of the dignity and needs of subject creatures like dogs, potential victims of our every whim. How many dog-owners ask themselves "If I were my dog, would I actually like what is being done to me or what I am being made to wear?" But in becoming more respectful towards our dogs and respecting their dignity, we need to rattle a few cages. Breeds are important but they are not more important than healthy long-lived pet dogs. A closed gene pool should never instill closed minds. When a closed gene pool is serving a breed and is working, then that is acceptable. But when we breed faulty dogs from faulty genes we need to free our minds and put the interests of dogs, not us, first. We must ask ourselves the key question, do I respect my dog or just my own need for a dog? Dogs have natural dignity; we need to respect that. Dogs have basic needs of their own, quite distinct from our need of them. The happiest dogs are not the most pampered or the most indulged but those essentially treated as dogs. It is shameful to accept distressing anatomical features in breeds of dog just because those features allegedly constitute breed-type. The quality of life of each individual dog matters more than any breed point. Accepting that is a major way of showing respect. Exaggerated dogs never look dignified! A few years ago, I followed a small child into a championship dog show and heard the child observe, with the insouciant innocence of her age, when walking behind a pair of Dachshunds, "Why don't those dogs have legs?" The owner of the dogs turned round, amused, and responded kindly with "It's because they have to work under the ground". But the owner almost certainly knew that in past times the Dachshund displayed daylight under its sternum and that the lack of leg length in the breed is a relatively recent feature. 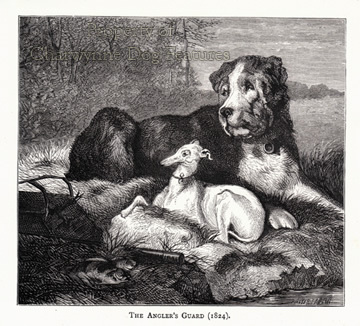 In time exaggerated features exaggerate themselves; but at what stage does a Breed Club, set up to safeguard the best interests of that breed, concede that such a degree of exaggeration penalises the dog? Individual dogs are more important than breed features that deny the dog a stress-free spine and a torso clear of the ground. These Dachshunds strove mightily to overcome the disabled movement that the anatomy we have bestowed upon them created. Their dignity was undermined. We have to respect the dog before us not the design of the day. A few years ago, a neighbour of mine had a charming Basset Hound that used to howl with the pain from its legs. The dog wasn't old and had not been in an accident. The vet's report on the dog revealed deformities of the distal radius, ulna and carpal joint, adding that such disabilities are frequently seen in the breed, together with a high incidence of shoulder and foreleg lameness. 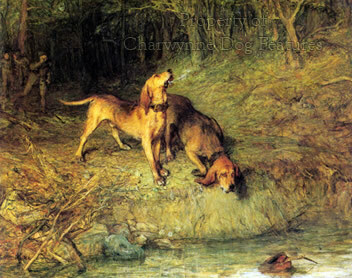 The dog had the heavily-boned extremely bent front legs favoured in the show specimens, a breed feature not sought in the hunting Bassets; the English Basset, benefitting from Harrier blood, does not display exaggeration. Which breeder is perpetuating the true Basset? 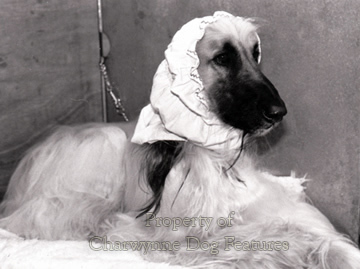 Does each breed have to tolerate unacceptable exaggerations that inflict distress on their dogs? Modern type doesn't automatically mean true type; in a closed gene pool exaggerations exaggerate themselves. Which should prevail, a loyal if misguided allegiance to contemporary breed-type, or simple humanity towards the dog? If you favour evolution as opposed to revolution in achieving change, then action has to come from within dog-dom. Breed Clubs have to change, registries have to change. The European Convention on the ethical treatment of animals could one day be ratified here and a heavier hand demand an end to harmfully-constructed dogs. How much better for a Breed Club, backed by a visionary registry, to say: this is our breed and we respect it, we have lost our way, isn't it best if we put things right? Judges can of course play a role too; the degree of exaggeration in any breed soon becomes a fault. But coordinated action will always achieve faster progress than a series of unilateral measures. Time perhaps for the Kennel Club to step forward! 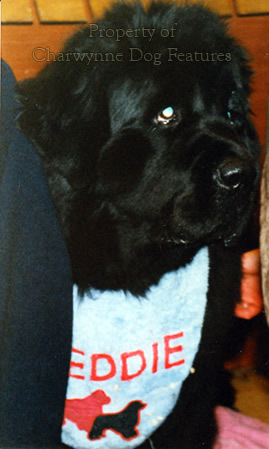 B M Levinson, Professor of Psychology and the Director of a child pyschiatry unit, wrote thirty years ago: "I would like to state that in the year 2000, man will be able through the medium of pets to regain his sensitivity to events occurring in the animal world and to enhance his empathy with all living creatures. He will rediscover the semantic symbols which he used aeons ago to describe his emotions towards nature and towards pets. He will in a sense be a more complete human being." By respecting our dogs, which is more demanding than loving them, we become more rounded people, I am sure. Down the years, my dogs have taught me a lot about dogs and quite a lot about myself. The way I treat my dogs tells you a great deal about me. But in becoming more respectful towards our dogs and respecting their needs, we need to rattle a few cages. Breeds are important but they are not more important than healthy long-lived pet dogs. A closed gene pool should never instill closed minds. When a closed gene pool is serving a breed and is working, then that is acceptable. But when we breed faulty dogs from faulty genes we need to free our minds and put the interests of dogs, not us, first. We must ask ourselves the key question, do I respect my dog or just my own need for a dog? Dogs have dignity; we need to respect that. Dogs have basic needs of their own, quite distinct from our need of them. The happiest dogs are not the most pampered or the most indulged but those essentially treated as dogs. It is shameful to accept distressing anatomical features in breeds of dog just because those features allegedly constitute breed-type. The quality of life of each individual dog matters more than any breed point. Accepting that is a major way of showing respect. Every dog should be guaranteed a dignified life. 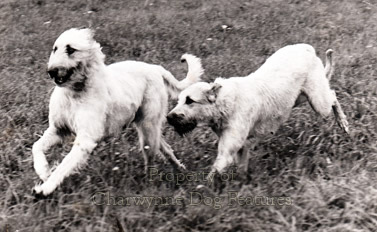 Michael Fox, the distinguished animal behaviourist, once wrote: "Only when man learns to see the dog for what it is and himself for what he is can he free his dog from some of the frustrations of the modern world." Dogs suffer considerably from the frustrations of the modern world. We breed into them strong instincts and then deny them outlet. We stop superlative hunting dogs from hunting and discourage gifted herding dogs from herding. We develop the best earth-dogs in the world and then deny them any scope for their innate desires. No wonder dogs feel frustrated. Their spirit is being slowly sapped. Every owner of a bird-dog should ensure their dog savours air-scent and sniffs the wind. 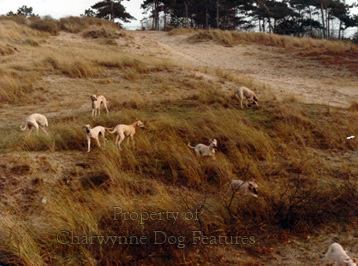 Every scenthound owner should ensure that their dog comes across exciting ground scent. Every sighthound should be encouraged to really stretch its long legs, just to sprint with sheer release. Every dog-owner really must learn to acknowledge their simple needs, to respect them - and their dignity.